Is the Southern UK Flooding a Disaster? 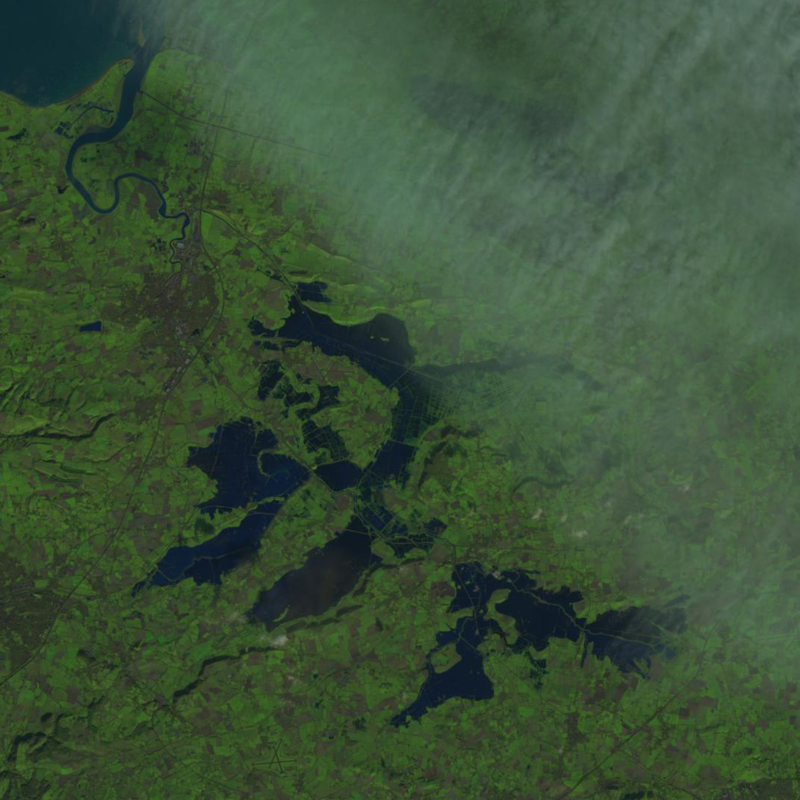 Landsat 8 image acquired on the 23 January 2014 showing the floods within Somerset, UK, with the river Parrett flowing into the Bristol Channel in the top left corner; courtesy of the USGS and NASA. Over the last couple of months flooding has impacted the southern half of the UK. Coastal surges affected the South East of England in early December and the Somerset levels became flooded in the middle that month; and they remain flooded. The South West was battered by huge waves and rain at start of February – you may have seen the dangling railway lines in Dawlish, which is our main rail connection to everywhere north of Plymouth! Over the last few days the flooding has impacted communities bordering the river Thames and river Severn. Further rainfall, tidal surges, river flooding and ground water flooding means parts of UK are likely to be ‘under water’ for many months to come. Is this a disaster? The Oxford Dictionary describes a disaster as a sudden accident or a natural catastrophe that causes great damage or loss of life – the current scenario seems to fulfil this definition. In the UK the Prime Minster is taking charge by chairing COBRA Meetings. Whilst COBRA sounds really impressive, COBRA actually stands for Cabinet Office Briefing Room A; and so less impressively, it’s only referring to the room the meeting is in! However, COBRA is the emergency committee coordinating the Government and associated agencies response to the flooding situation. COBRA is meeting regularly, is it a disaster? The Earth Observation community considers the UK is experiencing a disaster. This was recognised by the activation of the International Charter: Space and Major Disasters on the 6th February for flooding in South West England. When this charter is activated, space agencies around the world use their resources to collect satellite datasets that can be used to help mitigate the effects on human life and property. Earth Observation offers the opportunity to see the big picture, something that is usually difficult in disaster situations, as well as what is happening at street level. It gives governments, civil protection agencies and international relief organisations key information to assist their decision-making processes. 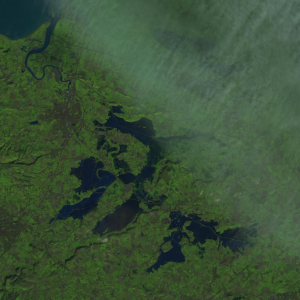 The UK Space Agency works in collaboration with DMCii (a subsidiary of SSTL that operates the Disaster Monitoring Constellation) to contribute imagery with a recent image showing the flooding in Somerset. In 2013 there were 38 activations of the Disaster Charter. Flooding in the UK also activated the charter on the 6th January this year and the 4th December last year. Since the 6th February there have been three further activations of the charter on the 7th for Floods in Zimbabwe, on the 10th for snowfall in South Korea and on 11th for a flood and landslide in Burundi. With weather patterns evolving around the globe, the activation frequency of this charter is likely to increase. Earth Observation supports the observation, and management, of the planet and its natural resources; and supporting disaster relief situations is one of its most beneficial uses. This entry was posted in Earth Observation, Landsat, Space Can Help and tagged Disaster, Earth Observation, Flooding, International Charter: Space and Major Disasters by Andy. Bookmark the permalink.